Tracy Farr’s carefully crafted literary novel The Hope Fault explores what family means when it’s placed beside the weight of history. The story is set in the fictitious Australian town of Cassetown, Geologue Bay, where Iris and her family have gathered to clean out the family’s vacation home before it is sold. First to arrive is Iris, along with her troubled son, Kurt, and her free-spirited niece, Luce. Next come Iris’s ex-husband-but-still friend Paul and his new wife, Kristin, along with their still-unnamed new baby. Pretty soon the drudgery of packing turns into a full-blown house party, ending with Iris facing a new health concern, Kurt taking a dangerous, alcohol-fueled walk on the beach, and Luce keeping a new secret about the family matriarch, Rosa. The book changes course as it breaks into its next act. The second section tells Rosa’s story in reverse chronological order through a series of linked short vignettes that read like diary entries. Rosa’s story unfolds piece by piece, laying bare the meaning behind many of the things she left behind in the Cassetown home. Rosa’s story is compelling; she’s driven by love that has been touched by human failings and tragedy. The book ends by wrapping up the drama of its first part, but the action comes with a newfound awareness of what the debris of a well-lived life means, and why it matters. Writing is spare and close, a feeling that is echoed by the rain driving the characters inside the house and keeping them there over the course of the three-day weekend. Narration is written in a very close third-person voice, occasionally revealing a character’s thoughts and sometimes leaving their motivations intentionally vague. 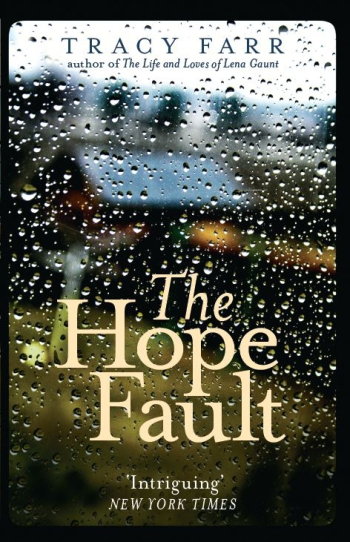 The Hope Fault is a riveting novel that elegantly achieves a vision of family and history that lingers beyond the page. Two fish, or dos peces, talk to each other from across their bowls, separated by a row of books. Imaginations run wild in alternating verses that rhyme in both English and Spanish as they speculate what wonders might exist in the vast world beyond. 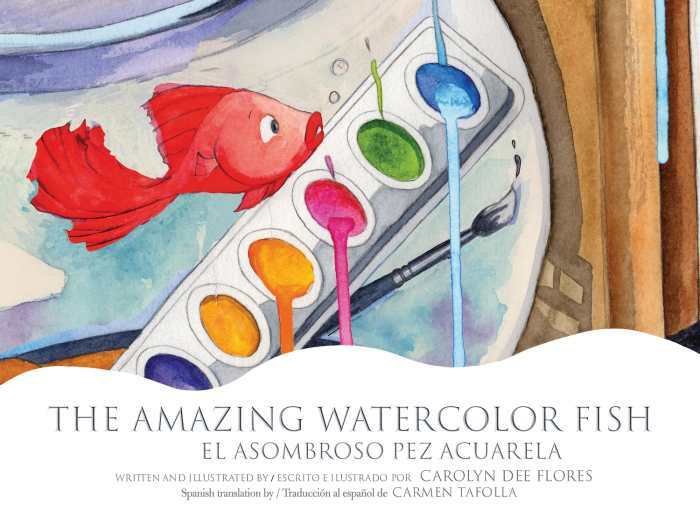 Watercolor brushes and palettes submerge until sepia tones with bold backgrounds blend into a rainbow explosion of far-off islands and castles, flying ships, fantastical creatures, and two very special peces. 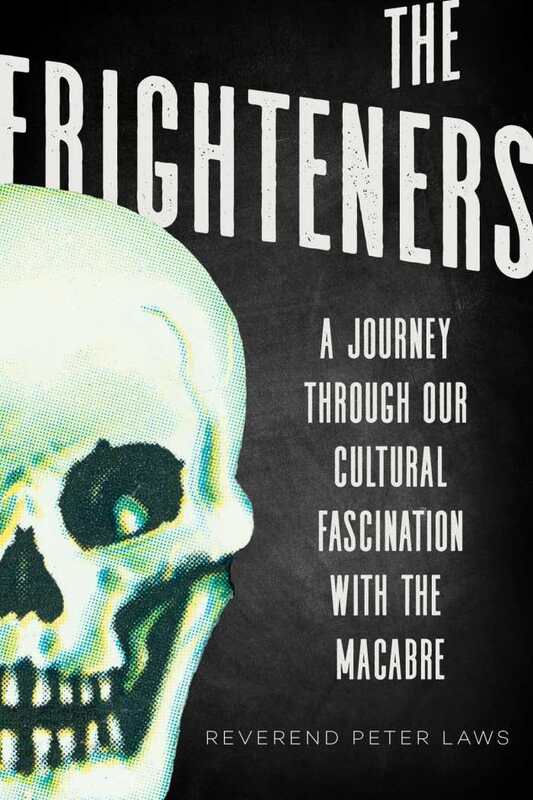 In The Frighteners: A Journey Through Our Cultural Fascination with the Macabre, Reverend Peter Laws simultaneously serves as scholarly tour guide and terror-driven participant through terrains inhabited by vampires, biblical characters, horror movies, zombies, video games, murderabilia, historical ruins, and fairy tales. Logic seems to justify the argument that today’s fascination with violence parallels increasingly violent cultures—until, without warning, common sense falls prey to meticulously documented studies, quotes, examples, and statistics. Can a Baptist minister enamored of the dark side persuasively argue that devotion to a clerical profession and a lifelong passion for horror are not as contradictory as they appear? Can he prove his hypothesis that voluntary exposure to terror and death benefits society, while regulating such exposure could harm it? Through a unique blend of personal experience, research, and humor, he can and does. Each chapter launches adventure upon adventure. Laws chases growling dogs in Transylvania, shoots his way free from zombies in a nuclear bunker, and hunts ghosts in a hotel specializing in slashed and crushed throats. The Frighteners excels at the one skill most lacking in everything around ghosts, zombies, and growling dogs: conversation. Whether Laws is chatting with the experts, fellow horror aficionados, or himself, or imagining what others are saying to themselves, the book’s dialogue is as entertaining, informative, and insightful as it is hilarious. Yet adventure and conversation are only two of many ingredients employed to fuel this daunting exploration. Others include: literary, historical, cultural, biblical, psychological, sociological, media-driven, and paranormal perspectives and evidence. Explore the many quirks and anomalies of English spelling and pronunciation in an A-to-Z tribute to some of the most unconventional words in the lexicon. 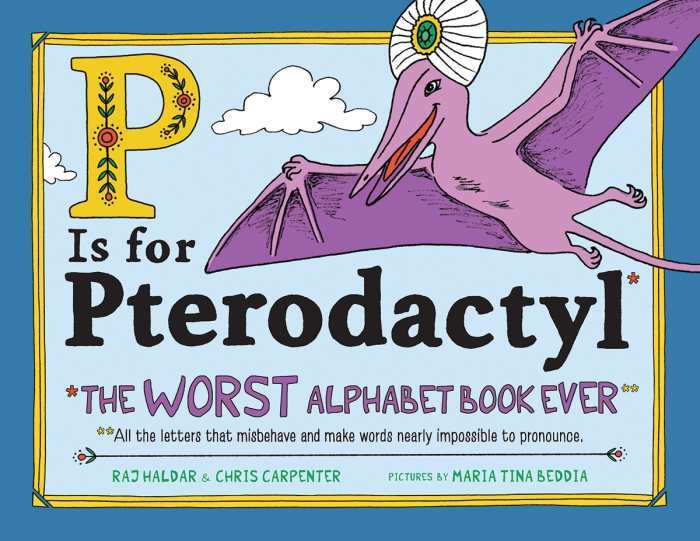 Learn why Y is not for “why” and U is not for “you,” but V is for “five” and C is for “czar.” With this book full of puns, alliteration, playful artwork, and plenty of entertaining observations, children of all ages will enjoy celebrating the exceptions to the rules. 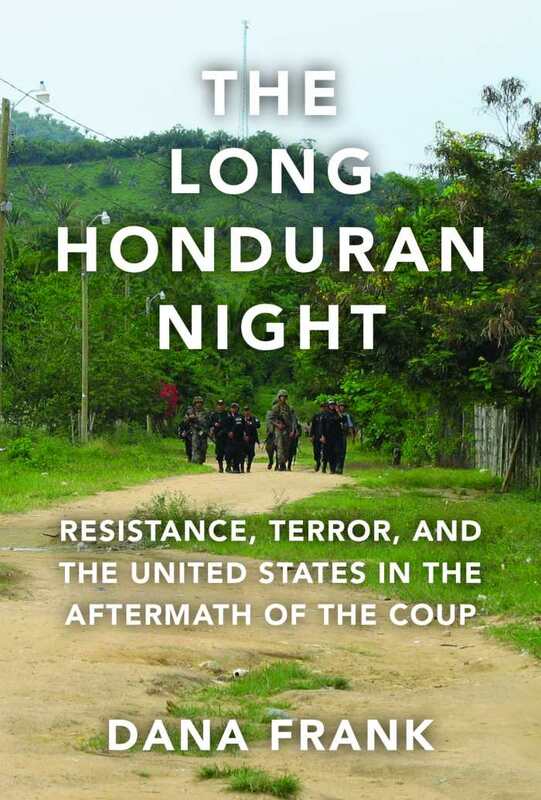 Dana Frank’s intensely personal The Long Honduran Night chronicles efforts to redirect America’s foreign policy toward Honduras following its 2009 military coup. After witnessing increasingly violent repression, Frank became an activist, documenting human rights abuses, mobilizing public support, and meeting with political leaders to slow the spigot of American and international aid flowing to the post-coup regime. The book is harrowing, filled with first- and second-hand accounts of murders, gang rapes, disappearances, and attacks on Honduran civilians. It is a meticulous indictment of Honduran police, security guards, and soldiers controlled by oligarchs and transnational corporations. While the drumbeat of these atrocities can be mind-numbing, Frank brings immediacy and humanity to this continuing tragedy with her accounts of individuals: farmers, teenagers, teachers, and LGBTQ and indigenous activists who have been brutalized. An especially illuminating passage highlights the obstacles that citizen lobbyists face. Facing new crops of congressional and State Department aides each legislative season, Frank must constantly reeducate people who find her accounts “too farfetched to be true.” While she points to a handful of congressional advocates working to tie US aid to improvements in human rights, Frank portrays a federal government on automatic, ready to hold the status quo and bolster American economic and military power in Central America. If there is any spot of brightness peeking through The Long Honduran Night, it is in the continued growth of a Honduran grassroots resistance. Frank calls being allied to them in their struggles a “beautiful gift” even as she condemns the US for continuing to “dance with dictators” in Central America. Her book is powerful, passionate, and meticulous in its documentation of foreign policy in Honduras, a country that has long been slighted in mainstream journalism and academic research.